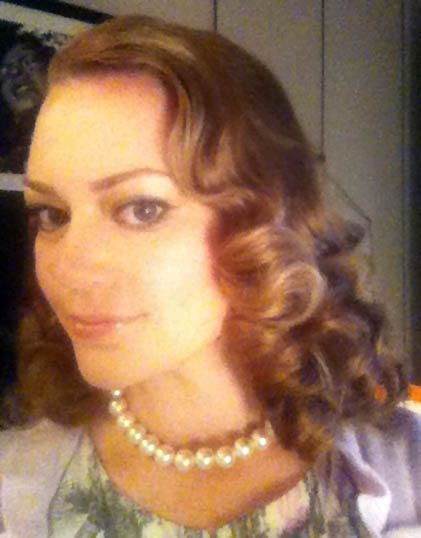 I wanted to give the pin curl another try so I spent an hour last night pin curling my hair. I have a new respect for my grandmother and the fact that she did this every night before she went to bed. I used Lotta Body and a much more sheer scarf around my head than the one I used on Buffie. This helped with drying. And after lots, and I mean lots of brushing with a bristle brush, here is the final result. I think grandma Collins would be proud. The result of pin curls and lots of brushing.